Replaces part numbers 43396A2, 818298Q1 and 818298A1. Mounts to the bottom of the brackets. The anode fits;. 100-125 (4 cylinder). 75/90 Four Stroke. 75 (4 cylinder). 60-90 (3 cylinder 1987 & newer). 60V-11382-A0-00 GASKET FOR VALVE HOUSING. INCLUDES YAMAHA OEM PARTS MANY YAMAHA 2 STROKE MODELS 115HP- 300HP. YOU'RE ALREADY IN THERE CHANGING THE VALVE, MIGHT AS WELL CHANGE IT ALL TO START FRESH! Outboard Rear Gearcase Anode. Stern Drive. V4 & V6 outboards 1982 thru and 40-300 HP Evinrude® E-TEC® 2004-2012. Part # 8M0107547. Fits 75 - 115HP FourStroke 1.7L (1B366823 - 2B094995). Fits 75 - 115HP FourStroke 2.1L (2B094996 & Up) Standard Gearcase Only. This is a complete anode kit to replace all factory installed anodes found on the transom bracket and gearcase. 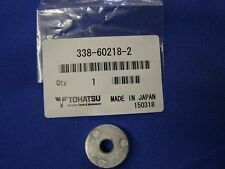 TOHATSU OUTBOARD MOTOR ZINC ANODE. Transom Bracket Anode. 115, 130, 150. Applications 2002 and Newer. YAMAHA OEM PART. Yamaha Outboards. OEM Part # 6G5-45251-02-00. F115, F150, F200, F225, F250, F300. Trending at $25.45eBay determines this price through a machine learned model of the product's sale prices within the last 90 days. Located in side pockets on the gearhousing just above the cavitation plate. Tecnoseal Zinc Bar Anode for Engines 60/300 HP. US Military Grade Zinc. Zinc Is For Salt Water Use! Weight: 1.5 lbs. OEM Yamaha Outboard Trim Tab Anode. Precision Suzuki Marine, Authorized Outboard Sales and Service Dealer. LETS FACE IT YOU PAID GOOD MONEY FOR YOUR NEW SUZUKI OUTBOARD. ZINC ANODE. ALL YEARS OF DF FOURSTROKE MODELS THAT USE THE ZINC BAR ACROSS THE BOTTOM OF THE CLAMP BRACKET. Part # 8M0126671. Fits all 6 cylinder, 200 - 300 HP Verado Outboards. This is a complete anode kit to replace all factory installed anodes found on the transom bracket and gearcase. Fasteners are included. MISSING COTTER PIN . SWIVEL SOCKET. BALL OPENING 1". MerCruiser Anode Kit - Alpha 1, Gen 1 Magnesium, Fresh Water • Used in fresh water applications • Fits Alpha I - Gen I - 1983-1990 drives. 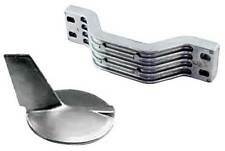 • Kit includes all anodes needed for the outdrive Part #CMALPHAGEN1KITM. Item Sku - 97 76214T 5. 0507089 436745. Anode Kit Original BRP. BRP List Price CERTIFIED BRP DEALER AND WARRANTY REPAIR SERVICE STATION SINCE 1979. 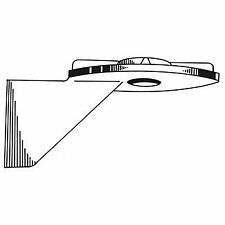 If it's in the BRP OMC Evinrude parts catalog, we have it! - 10-50% Off All Genuine Evinrude Johnson New & Used Outboard Motor Parts -. 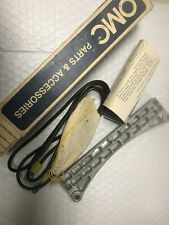 Quicksilver Anode Kit 888756Q03 For use on 1991 and Newer Alpha One Gen II (S/N 0D469829 And Up). 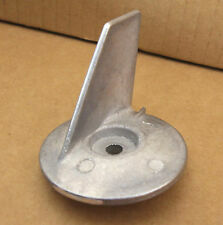 OEM Yamaha Outboard Transom Bracket Anode. 29090 Series. 29120 Series. The intuitive simple to use Twist Lock handle works by locking the redesigned piston assembly into place helping to prevent back flow of any waste water into the bowl. Twist n' Lock Pump Assembly. Part # 8M0107551. Fits L4 Verado FourStroke Engines. Fits All Optimax Engines. This is a complete anode kit to replace all factory installed anodes found on the transom bracket and gearcase. Fasteners are included. Year after year, the Rule-A-Matic has been the switch of choice for boaters the world over. Now includes a 2 year warranty. F70,F75,F80,F90,F100. OEM Yamaha Outboard Trim Tab Anode. Part # 8M0107549. Fits 75 - 115HP FourStroke 2.1L (2B094996 & Up) Command Thrust Gearcase Only. Fits 150HP FourStroke (2B905505 & Up). 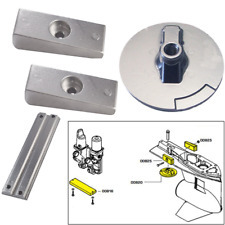 This is a complete anode kit to replace all factory installed anodes found on the transom bracket and gearcase. OEM Yamaha Outboard Clamp Bracket Anode. F30,F40 (00~). Item Sku - 65W-45251-00-00. New ListingNew OEM Mercury Force Anode Snout Part Number 817795A 1 80's 40 50 hp. 5 out of 5 stars - New OEM Mercury Force Anode Snout Part Number 817795A 1 80's 40 50 hp. 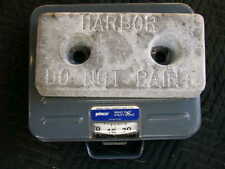 1 product rating1 product ratings - New OEM Mercury Force Anode Snout Part Number 817795A 1 80's 40 50 hp. Anode for Yamaha V6 outboards. 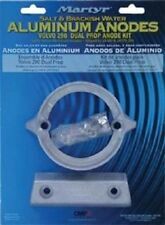 The anode replaces part number 6J9-45371-00 and 6J9-45371-01. We are only human, while unintentional, mistakes can occur. Aluminum anode for the bottom of the transom clamp brackets for Yamaha outboards. # TEC20816. Zinc anodes are manufactured to the highest quality, and specifically to US MIL SPEC. Carburetor Parts Outboard. Coils Outboard. Gaskets Outboard. Lower Unit Outboard. Starters Outboard. Thermostats Outboard. These were spares for my Honda 250 outboards which I no longer own. Plastic packaging is a little beat up contents is in new condition. Like 872793 870648 001109. Volvo Outdrive SX DP-X. side mounted anode. YOU NOT ONLY GET A REAL PERSON. THIS IS PART NUMBER SMD26 IN MY INVENTORY.